Gilligan, remind me again which side is fore and which is aft? FIFTY years ago we had the ‘Summer of Love.’ I missed it. Yesterday began the ‘Summer of Hell’ for those suburbanites east and west of Manhattan, and though I once again will not be a participant, as an LIC resident I’ll be a passive bystander in the thick of it all. That’s because a new ferry port has been added on the East River, 200 yards north of the existing one and adjacent to the Oval in Hunters Point South, in order to accommodate all the commuters from Long Island who now have to depart the LIRR at Hunterspoint Avenue instead of Penn Station. Will the minds of these commuters be blown like those of 50 years ago? 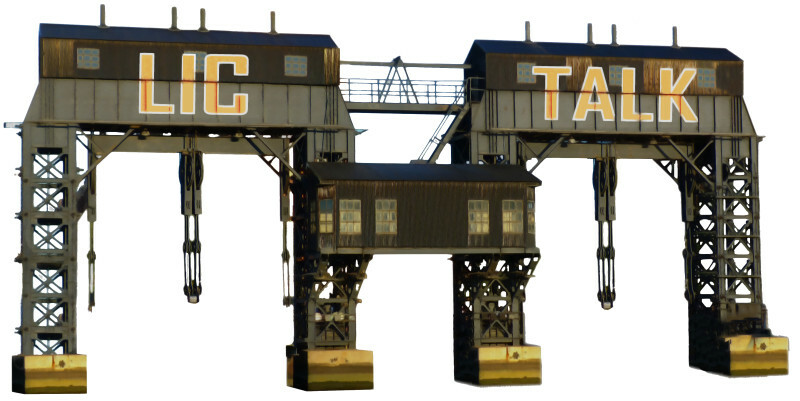 Will children be conceived in the open air amidst the brackish spray and smell of bunker fuel? I don’t know and I really don’t care, as I live in Long Island City and not Long Island. Now 3,000 more suburbanites will wish they did too. Hi! Do you know if they are building another ferry dock next to the existing one in HPS park? 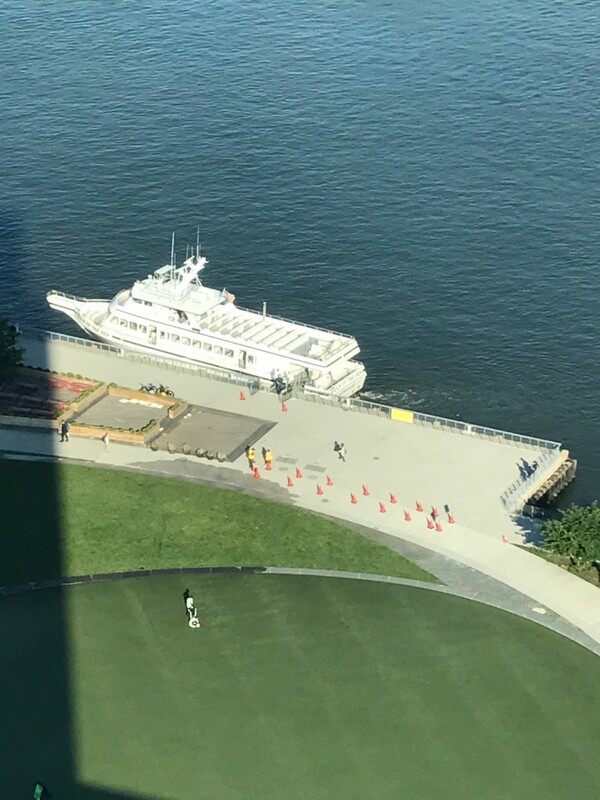 What looks like the same equipment they used for the new dock in Gantry Park is currently in the spot where the temporary ferry terminal was. But maybe it’s just something to do with the temporary terminal.